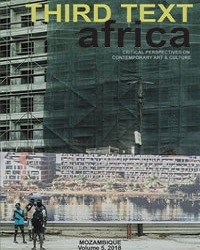 When Jose Antonio Fernandes Dias, visual arts advisor to the Gulbenkian Foundation, was asked by the Mayor of Lisbon what he thought of the idea of a museum for contemporary African art in Portugal, an idea that came from the Minister of Foreign Affairs, Dias said that it was not a good idea. He told the Mayor that museums risk becoming static places and would keep the “ghetto of contemporary African art” alive. Something more dynamic was needed. Dias was asked to come up with a proposal. That was in 2007. Today he is heading the establishment of a new multi-disciplinary organisation, Africa.Cont, which will be housed in a new building, designed by David Adjaye, to be completed in 2012. 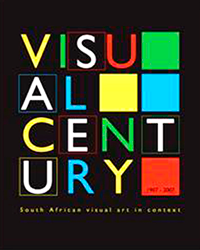 A mildly edited version of this appeared in Art South Africa vol. 8 no. 2, 2010, p. 76. In December 2009 Africa.cont convened two days of presentations and panel discussions. Participants addressed critical questions of constituency, purpose, and method. In his keynote address Awam Amkpa, a theatre and film practitioner and academic, highlighted the notion of Africa as an “extractive space”. 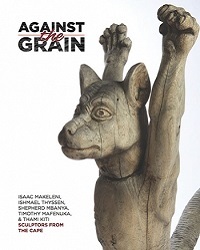 Questioned whether it was possible to break from the extractive paradigm where, for example, exhibitions of African art are curated primarily for European audiences Amkpa argued that such practices (and the institutions with which they are synonymous) were a product of their historical context, and that it was not a matter of whether things can be done differently, but that they have to. The Portuguese politicians appear to understand the value of an arms-length relationship, probably because it does not take much to recognise that Africa.cont will inevitably perform a political as well as an artistic role. By evoking Africa in Portugal it will be impossible to ignore the legacies of imperialism and colonialism, and by establishing a new top—drawer arts organisation the international standing of Portugal will be enhanced. I can’t help wondering how far we are as South Africans from establishing an equivalent organisation to Africa.cont. On one hand we have a government that occasionally commissions spectacles to entertain their peers at meetings of the OAU, SADC and the like. Exactly the instrumentalist view that Africa.cont has rejected. We also have a host of cooperation treaties with other African countries, meaningless agreements that translate into little of consequence, certainly as far as the visual arts are concerned. 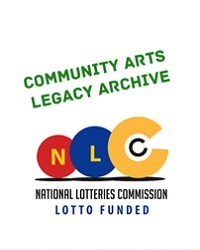 Blinded by nationalism, we have legislation that prevents the National Arts Council (NAC) from funding applicants who are not South Africans, irrespective of the quality of their proposals. On the other hand we have a growing number of fledgling arts organisations most of which lack the resources to develop links with their African peers, as well as individual artists battling to fund their participation in African exhibitions. For these organisations and individuals to gain government support they are usually directed to the NAC, a funding body whose operating costs consume a high percentage of its budget. Whether Portugal’s politicians keep their word and whether Africa.cont succeeds in doing things differently remains to be seen. That this promises a new chapter that breaks with the culture of extraction provides some hope and inspiration. Africa.cont reminds us that for things to be done differently we must assert our right to be heard. Who knows, we may even enter into meaningful partnerships.